How does spiritual awakening take root in our lives? Does it happen on the meditation cushion, in the yoga studio, or on long retreats? “Our inner work plants the seeds of insight,” teaches Thomas Hübl, “yet lasting transformation emerges as we take our practice into the world of love, work, and culture – what I call the relational field.” On The Power of We, he presents a compelling vision of what fully engaged spiritual practice can be, with in-depth guidance into the fundamental competencies you’ll need to sustain awakening in the fast-placed “marketplace” of our modern world. The relational field is more than the sum of our interactions with our friends, family, and intimate partners. As Thomas explains, we exist in relationship to every aspect of life – to our social environment, the past and the future, the wisdom of our chosen spiritual path, and our own potential. In this six-session course, you’ll develop a greater awareness for each relationship that shapes your life – and how to kindle your own evolution through practices such as transparent communication, attuning to subtle energy, illuminating shadow material, and much more. 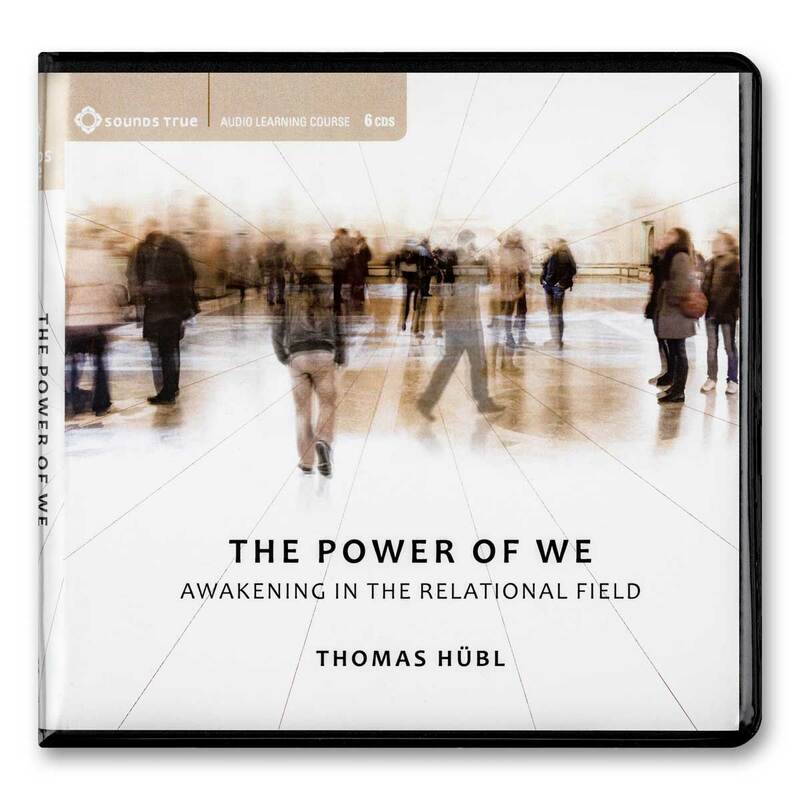 “For awakening to flourish, it must become our first priority,” says Thomas Hübl. “It must infuse and inform our work and play, our love and conflict, and every relationship in our lives.” Join this fresh and dynamic teacher for a journey that will revolutionize the way you practice spirituality in every moment with The Power of We.